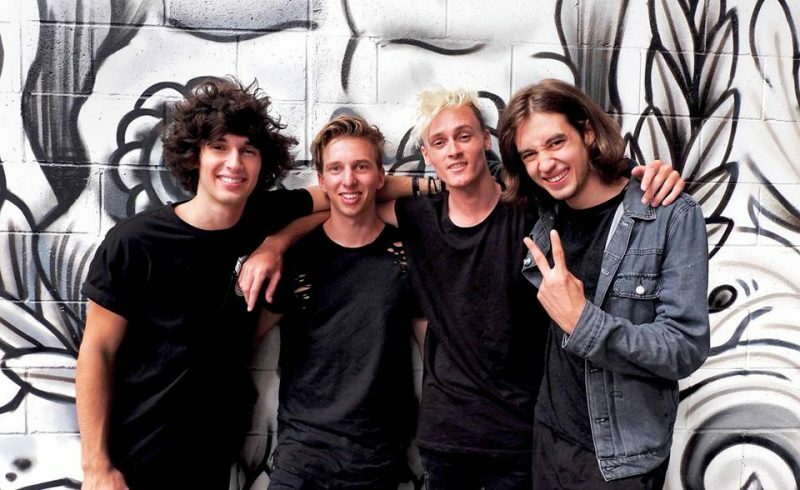 The Faim are an Australian pop-alternative rock band formed in 2014 by Josh Raven on vocals, Michael Bono (guitar, bass, vocals), Stephen Beerkens (bass, keyboard) and Sean Tighe (drums and percussion). Influenced by Green Day, Fall Out Boy and Paramore, the four-piece have met L.A producer John Feldmann (Blink 182, Good Charlotte, All Time Low). And afterwards he invited the band to L.A to record a song. That session turned into more songs and now a debut album is in the works. Following the release of their anthemic debut single “Saints of the sinners”, The Faim are ready to announce a new single “Midland line”.